While they are primarily used by air forces, with armies, following closely behind, Unmanned Aerial Vehicles (UAVs) are becoming an asset that naval forces are increasingly interested in operating, although the introduction of them comes with a number of challenges. The ultimate aim for naval operations is to deploy UAVs from vessels, to provide surveillance around ships and to be used for the overhead watch of an area at stand-off ranges; either in isolation or to provide data to neighbouring inhabited aircraft. Systems that are most synonymous with this role include fixed- and rotary-wing UAVs, ranging from the large, helicopter-derived systems like the Northrop Grumman MQ-8B and MQ-8C Fire Scout aircraft, to the Boeing/Insitu ScanEagle and RQ-21A Blackjack fixed-wing UAVs, all of which are operational with the US Navy. Nevertheless, developments are being made to systems developed in Europe and Israel which are gaining interest both domestically and internationally. Integration of the UAV into the vessel itself is one such challenge, as is developing a system suited to operating at sea. Typically, rotary-wing UAVs have been used in support of this type of operation, taking technology from naval support helicopters. Rotary-wing UAVs are also easier to integrate into vessels, compared to their fixed-wing counterparts as the former’s vertical take-off and landing capability means they require less deck space. That said, a number of technological developments have been made in recent years to integrate new types of aircraft into deck-based operations. One such feat was the successful arrested landing of Northrop Grumman’s X-47B Unmanned Combat Air Vehicle (UCAV) demonstrator from the USS George H.W. Bush ‘Nimitz’ class aircraft carrier in May 2013. This was then followed by a flight test in 2014 that demonstrated X-47B’s ability to fly off the deck of USS Theodore Roosevelt, another ‘Nimitz’ class carrier, in concert with a US Navy McDonnell Douglas/Boeing F/A-18C/D Hornet fighter. 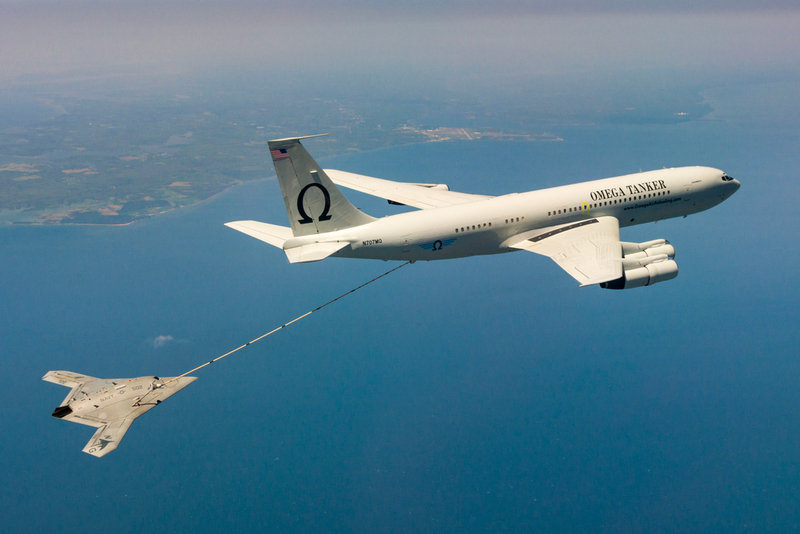 The final success of the X-47B programme was a 2015 demonstration of its ability to be refuelled by an OmegaAir Boeing B707-320 tanker, and the experience the US Navy gained will ultimately roll into the MQ-25 effort (see below). The initiative is now concluded, with the US Navy retaining the two X-47B aircraft in a flying condition for further development, reports in 2015 stated. To this end, the service is pushing through its Carrier-Based Aerial Refuelling System (CBARS) programme, which will see the service acquire the MQ-25 Stingray UAV. Four contractors are bidding to provide the air vehicle element of the programme, namely Boeing, General Atomics Aeronautical Systems, Lockheed Martin and Northrop Grumman. 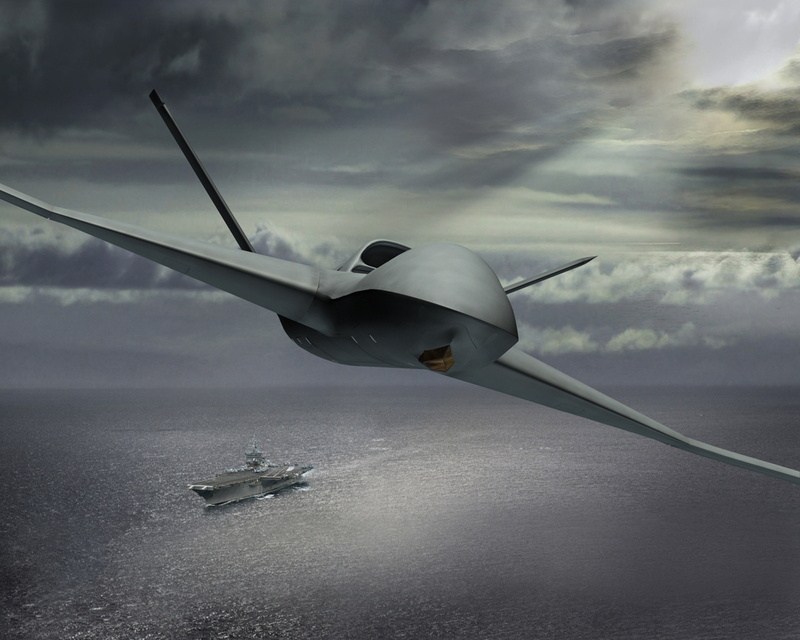 All four were selected to carry out air vehicle work under the navy’s previous Unmanned Carrier-Launched Airborne Surveillance and Strike (UCLASS) programme; a predecessor effort that sought a stealth UCAV that ultimately got reduced to CBARS. Despite the navy’s best intentions, timelines governing UCLASS continued to be pushed back as the service struggled to specify what it wanted from a carrier-based low Radar Cross Section (RCS) UAV. The RCS element was a particular challenge, so the navy instead reclassified the programme as the CBARS, which would concentrate on a refuelling capability to bolster the tasks performed by the F/A-18E/F Super Hornets on-board the carriers. 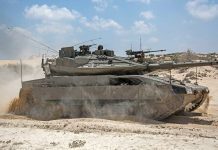 A request for proposals for the next phase of the work is expected to be released this year, which will cover engineering and manufacturing development, and will follow risk reduction work that each company is on contract to carry out to evolve their bids to be CBARS, rather than UCLASS, suited. Ultimately, the MQ-25 will be a surveillance system capable of acting as a tanker, and will use the US Navy’s Cobham A/A42R-1 air-to-air refuelling system that is operated on the US Navy and US Marine Corps’ F/A-18 family of fighters. According to US Navy sources, the first MQ-25 aircraft is expected to enter service in the early 2020s. 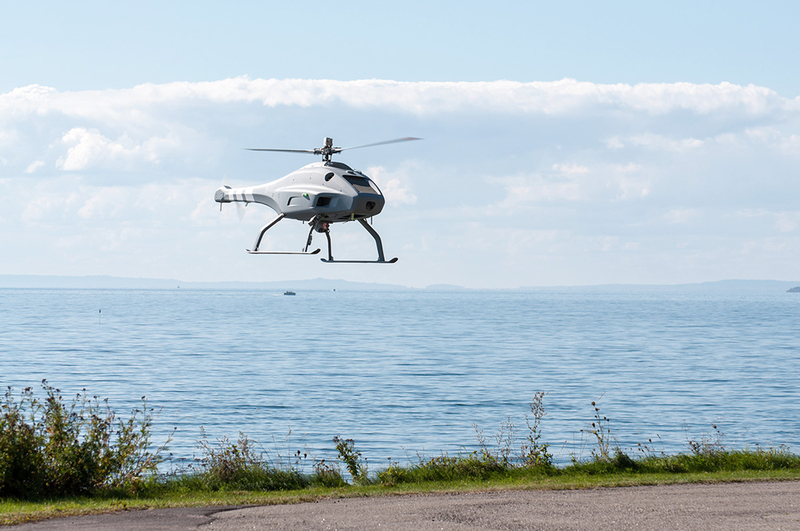 Another market in which they are both competing is in Germany, which has also sought a rotary-wing UAV for integration on its Marine (German Navy) vessels for some years. UMS Skeldar has teamed with ESG to pitch to this market, and progress in the navy’s programme is expected soon: “Our relationship with ESG is important on a number of levels, not least the fact that they are the prime contractor relationship for a number of opportunities,” Mr. Willems notes. 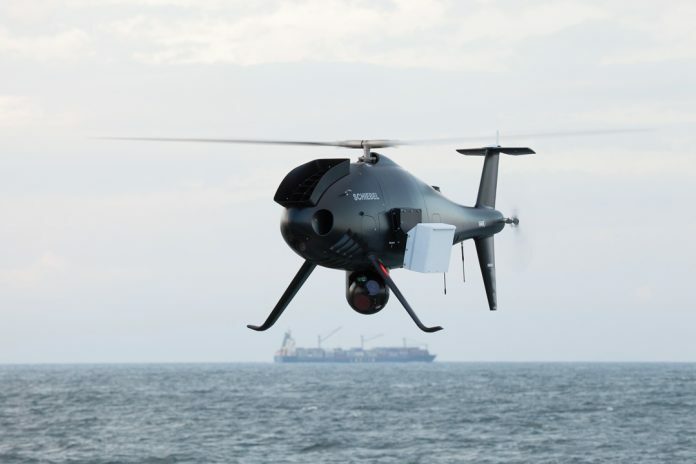 “We support their campaign with the VorUMAS (the new name for the procurement of VTOL UAVs for the German Navy),” Mr. Willems continued, adding that the release of a request for proposals for the Germany Navy requirement is imminent. Moreover, he noted that while he cannot discuss in any detail, there are a number of other opportunities the company is eyeing in Germany. 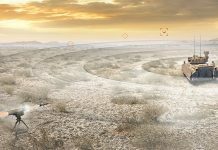 India is also a promising target customer for UMS Skeldar, and the company is working with local partner 3F-Advanced Systems to organise a number of demonstrations in-country: “We expect the first sales to be in the military sector,” Mr. Willems observed: “Our intentions are therefore to start assembling the V-200 for the local market in India before eventually producing them locally based on required volumes.” India is a new target market for a number of different UAV sales following its admission into the Missile Technology Control Regime (MTCR) in 2016, which permits members to export UAVs and missile-related technology that has a payload in excess of 1100 pounds (500 kilograms), and a range of 162 nautical miles (300 kilometres), to the nation. Following the MTCR membership, the government of India issued a letter of request to the US in June 2016 seeking approval for the purchase of 22 General Atomics Guardian UAVs for the Indian navy; the Guardian is a maritime variant of the company’s ubiquitous Predator family of UAVs. General Atomics could not comment on the potential sale to India due to commercial sensitivity, but the US government does not seem to have issued an acceptance to date. 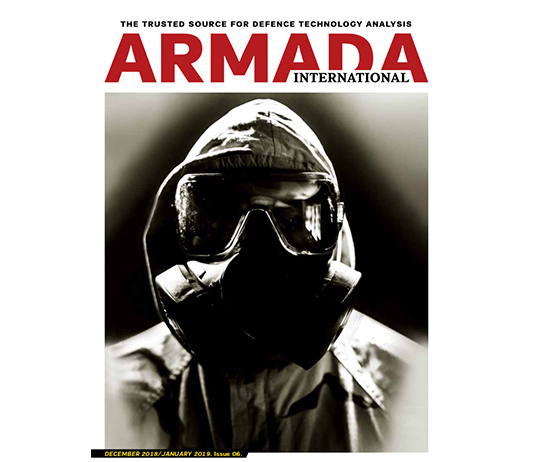 General Dynamics is looking to move into the maritime market in several areas, and was even integrating a sonobuoy payload capability for the Guardian, which it was developing along with Ultra Electronics. It could not comment on the current status of the development, but it was designed to increase the maritime prowess of the UAV. Other maritime systems that have been integrated include the Leonardo Seaspray-7500E X-band (8.5-10.68 gigahertz) airborne surveillance radar and Automatic Identification System (AIS) interrogators. The AIS is a radio frequency-based transponder system mandated for all vessels with a gross tonnage in excess of 300 tons mandated by the International Maritime Organisation, the United Nations body responsible for regulating shipping, to provide details of a vessel’s identification, course and speed. Furthermore, the company is involved in the MQ-25 development (see above), which if successful would be the company’s first sale to the USN, which would complete the tri-service success of the Predator UAV family in the US: The MQ-1 Predator and MQ-9 Reaper variants have been in operation with the US Air Force for some years, while the MQ-1C Gray Eagle is operated by the US Army. General Atomics is expected to pitch a jet-powered version of its UAVs derived from its Predator-C Avenger aircraft for the MQ-25 competition. Carrier-based operations are new to the company, despite it having a successful line of medium-altitude, long-endurance UAVs used by several NATO (North Atlantic Treaty Organisation) nations. 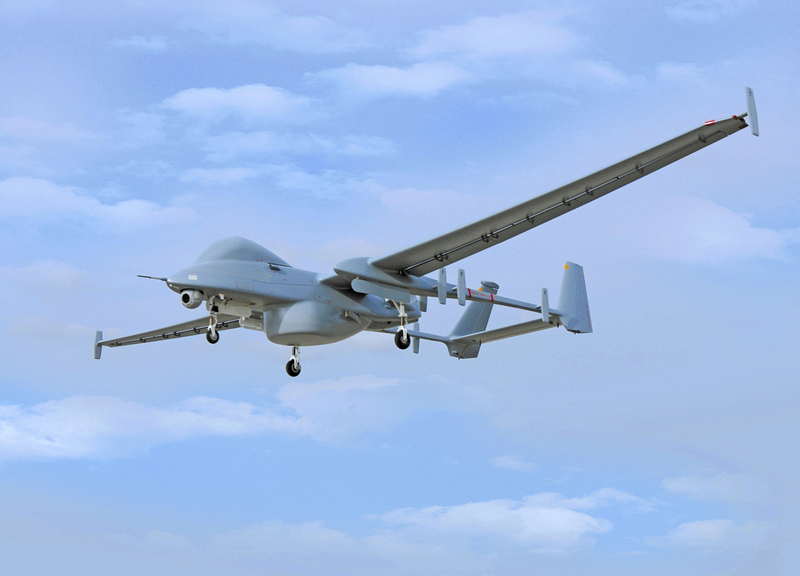 Israel Aerospace Industries is also developing maritime versions of its Heron family of UAVs, including a heavy fuel variant, although none of them are carrier-suited. Launched in 2014 during the Singapore air show, the heavy fuel Super Heron was developed as an offering for a Swiss requirement that was ultimately won by rival Elbit Systems with its Hermes-900, but the IAI system is still being marketed by the company: “The Super Heron is one of the Heron’s versions and is suitable for every mission including the maritime mission,” Dan Bichman, UAV marketing lead for IAI’s Malat division, told Armada: “The Heron family is constantly improving in many different aspects … The Super Heron is targeted to the UAV user that need an improved capabilities system and the option of using a diesel engine. The system is relevant to clients all over the world.” Additionally, Mr. Bichman noted that the basic version of Heron family can easily be modified to install systems and payloads required to make it maritime mission-suitable: “That way you can easily make any basic Heron a maritime Heron is by installing the suitable systems and payloads,” he said. 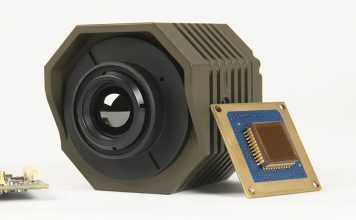 Such payloads includes IAI’s ELTA division’s airborne surveillance radar for maritime patrol aircraft, such as the firm’s EL/M-2022ES X-band product, IAI’s Tamam division’s Micro Pop optronics sensor, plus electronic intelligence sensors such as IAI ELTA’s EL/L-8385 electronic support measure.. Additionally, an IAI ELTA satellite communications system can help it operate over far distances, – in excess of 540 nautical miles/nm (1000 kilometres/km) and also at low altitudes in accordance with operational demands: “The maritime Heron (has been) operational for many years with different users around the world, including the Israeli Navy,” Mr. Bichman says: “The Heron UAV system is a multi-mission, multi-payload system with long endurance that fits a wide range of operational missions at different heights and ranges, and is capable of operating under extreme weather conditions,” he continued. IAI and Elbit Systems are not the only Israeli firms offering naval UAVs. In 2010, the Israeli Navy selected Aeronautics Orbiter-2 UAV for operation from its surface vessels, such as its ‘Sa’ar-5’ class corvettes. According to the firm, this aircraft has an endurance of up to four hours, can carry a 3.3 pound (1.5 kilograms) payload and a 53.9nm (100km) operational radius. While platforms are clearly important to UAVs being able to operate in support of naval missions, the sensors they carry are equally as vital: “It is the combination of platform and sensor that is very appealing to the customers, as it provides all-weather, wide area coverage,” the Schiebel spokesperson said regarding the overall sensor/platform package. One provider that has seen lots of success in this area, having tested systems on the S-100 and winning a highly sought after contract for integration of its Osprey X-band airborne surveillance radar onboard the MQ-9C in June 2016 is Leonardo. 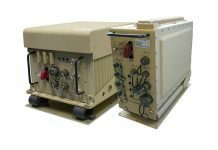 While Australia has acquired one S-100 system, the sensors have not yet been selected, but Leonardo has previously demonstrated its PicoSAR X-band airborne surveillance radar to the RAN onboard the S-100 in June 2015, so there could be an opportunity there further down the line. Mr. Nolan stated that the Osprey radar is a “pivotal change” in comparison to earlier generation radar that are fixed arrays: “(On the) Fire Scout there are two antennae: one either side of the aircraft, which provide a 240 degree field-of -iew without any moving parts,” he said: “So the installation allows the radar to not be mounted underneath the helicopter, which they often are, which is advantageous for operating in rough sea states.” Mr. Nolan continued that the Active Electronically-Scanned Arry (AESA) architecture which the radar employs allows the operator to simultaneously carry out multiple tasks: “With AESA you can pulse-by-pulse point the radar anywhere that it can physically see, so what that allows the system to do is clever things like looking in front of the aircraft for weather, (while) doing some ground mapping for target areas to the right, while simultaneously looking out for air threats to the left, for example.” He continued that: “The benefits of Osprey really lend themselves to unmanned operations, because you can do so much with what is a very light system, so it’s ideally suited to UAVs,” Nolan adds. While there have been great successes in the deployment of UAVs by the US Navy in the maritime domain, as this article illustrates, there are also significant efforts being made elsewhere. The operational challenges of using any system in the naval environment, never mind an unmanned one, are vast, but industry is looking at a number of technologies that will increase the effectiveness in this domain. With an increased level of safety in comparison to manned equivalents by putting fewer aircrew at risk during flying operations, plus the reduction in cost by not using a pilots’ valuable time, he merits of using UAVs in a maritime domain are clear, and slowly but surely they are rolling out to sea in a number of different nations.